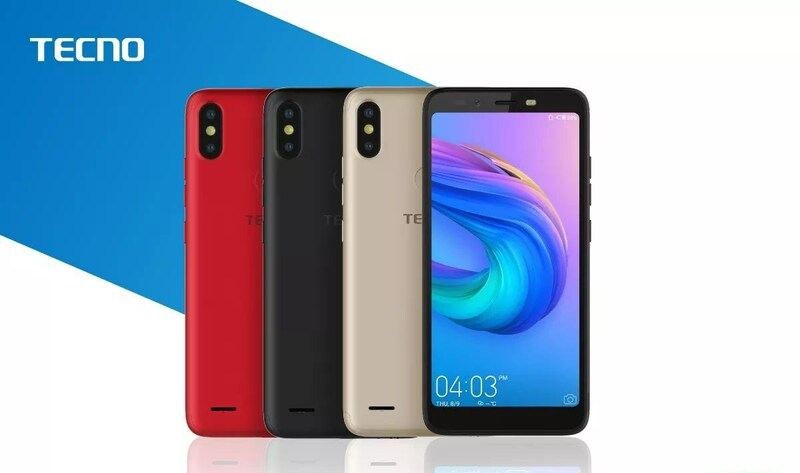 Tecno isky 3 has been officially launched in the Indian market. One interesting part of this device is that the smartphone comes with huge specs and features as well. As you all know that Tecno has been a well-known smartphone Manufacturers Across Europe at large. 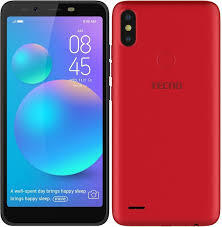 The smartphone making company has really been impressive in recent times with other amazing smartphones that were launched in their name also. Personally, I love tecno product considering what it stands to offer. The newly launched device comes with amazing features and specs as well. 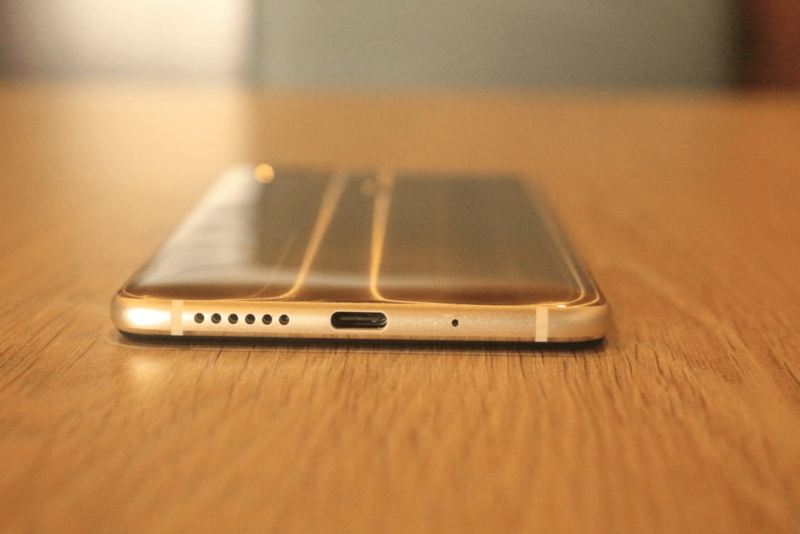 In a comprehensive article, we will be lecturing you on some features and specs you really need to know about the smartphone. All you need to do is to kindly read through the article to know all about the Newly launched smartphone Tecno isky 3. It is important we bring it to your notice that the smartphone comes with an amazing display which saw it coming with 6.2-inch (1520 x 720 pixels) HD+ 19:9 2.5D curved glass screen display, that simply delivers immersive photos and videos as well. 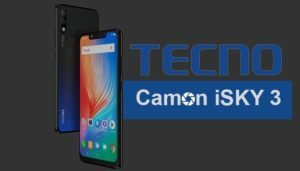 Coming to the design of the smartphone, Camon iSky 3 obviously polycarbonate, which is also coupled with a trapezoid notch display at the upfront of the display. Furthermore, it goes ahead to pack an interesting circular rear-mounted fingerprint sensor scanner. It also comes in smart colors such as Midnight black, Aqua blue, Champagne Gold and Nebula black options. 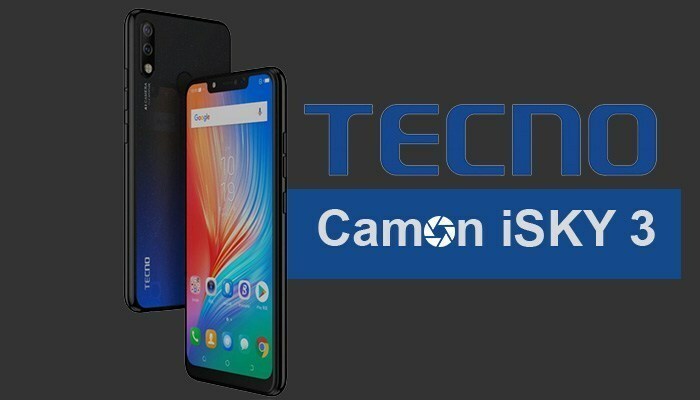 The newly launched smartphone Tecno Camon iSky 3 comes with a battery capacity of 3500mAh which is capable of handling the affairs of the device. It last longer when it is been fully charged. Tecno Camon iSky 3 comes with impressive dual camera setup located at the back, The camera is made up of 13-megapixel coupled with a LED Flash, f/1.8 aperture, and a 2-megapixels secondary camera. Coming down to the notch display, it packs a whopping single 8-megapixel camera with f/2.0 aperture, which is said to boasts of 6-level AI beauty that scans up to 228 facial points for more real selfies. For those of you interested in obtaining the phone for connectivity, sake knows it that the connectivity includes a dual 4G VoLTE, Wi-Fi 802.11 b/g/n, Bluetooth 4.2, GPS + GLONASS and many others. As long as this mobile device is a concern, you have no worries at all. Talking about the performance and what it stands to offer it, users, have it at the back of your mind that it is been powered by 2GHz Quad-Core SoC with 64-bit architecture. 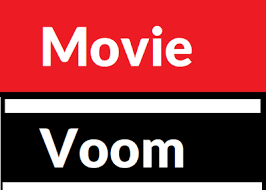 furthermore, it also offers 2GB RAM and 32GB of ROM. The phone comes with 256GB Memory space which can also be expanded with the help of a micro SD card. Note that it runs on Android 9.0 Pie. For all those interested in buying the smartphone, have it at the back of your mind that the smartphone will be sold out for the price tag of USD $126, which is over N50,000 in Nigerian currency. Where and how it can be bought is yet to be disclosed by Tecno. We will keep you updated when it has been officially reviewed.